Designed and handcrafted under one roof in Philadelphia, these Paul Morelli earrings boast bold 18k gold and a cluster of diamondsdelight in their delicate decadence. 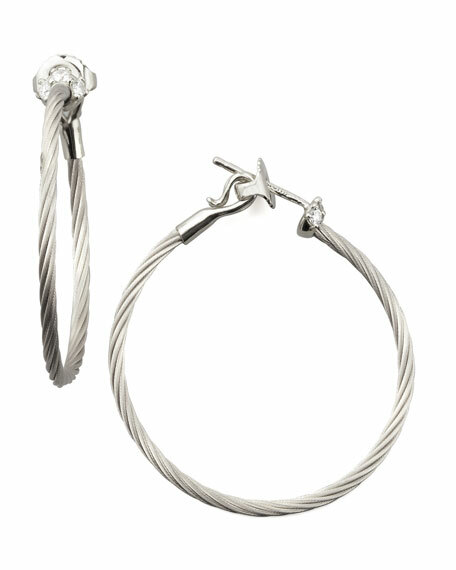 Malleable 18-karat white gold rope shapes hoop earring. Scalloped station with white pave diamonds. 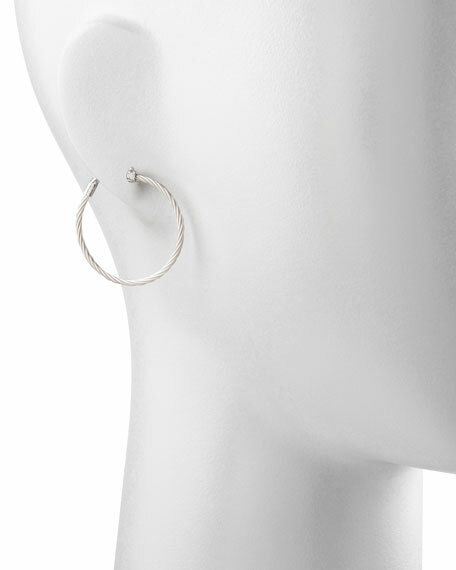 For in-store inquiries, use sku #295282.